Vis 45 is situated in Mtwalume on the lower South Coast of KZN. This holiday unit has 3 bedrooms and 2 bathrooms that can accommodate up to 6 adults and 2 children. The kitchen is fully equipped, and also has a washing machine and tumble dryer. This beautiful Holiday Unit is in a secure complex, with electric fence, automated sliding gate and secure open parking and 24-hour security. 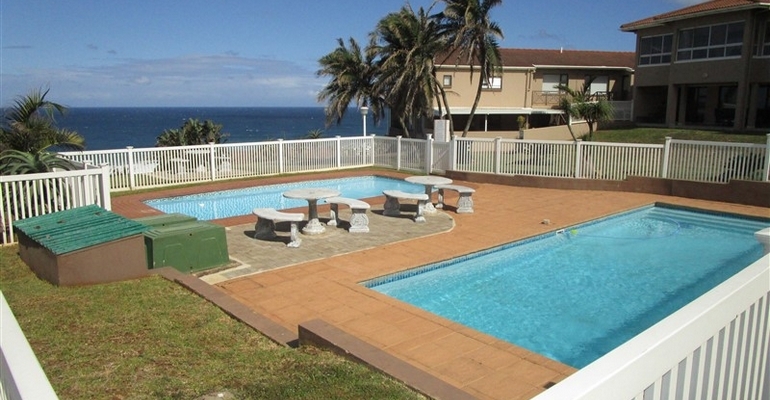 It has a beautiful veranda with a great sea view, private enclosed garden and braai facilities.